Everyone loves wooden toys don’t they? They look classic, well made and something you can keep for many years. Well I think so. We don’t have a huge amount of them, due to expense of them, but the ones we do have are well played and excellent. However, Asda have brought out their own range of Asda wooden toys, which not only look great, well made and something you’d want to keep forever, but the prices are fantastic. 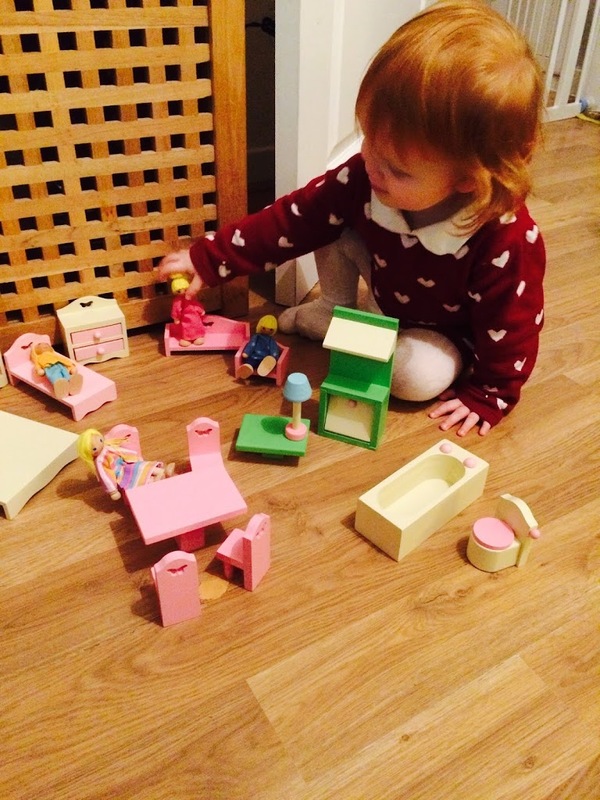 We tried out the Wooden Doll House and Furniture set for starters. 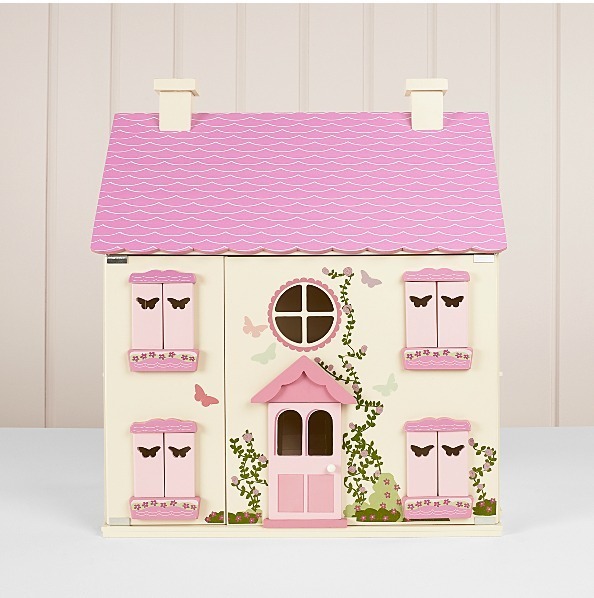 The dolls house is stunning, it’s a lovely shade of pink and cream with three floors for you to play around with. It looks gorgeous and I was incredibly impressed with how simple it was to setup and how sturdy and well made it it. I really couldn’t fault it. There is a central staircase for the dolls to go up and down and up and down, which seems to be what they do if you are Aria. The house opens up to give a wide area for lots of imaginative play. The roof opens up and the doors wide, so lots of room for furniture and fun. The wood is solid, but the doors are still light enough to open and close with ease and the roof is on sturdy hinges and doesn’t fall down on heads, a win in my book. Now we have the house, let’s get some furniture and dolls to play with and Asda have this covered with their Wooden Dolls House Furniture. This consists of a mummy and daddy doll and their two kids. The furniture is a gorgeous colour and suits the house perfectly. It’s well made and doesn’t have bits that could fall off or get lost. Making it perfect for little ones. Aria isn’t quite 2 yet so she’s on the younger scale, but with supervision she loved playing with this, far more than I ever thought. She loves sitting the dolls on chairs around the table and putting them to bed. She also seems partial to putting them in the wardrobe. I think she thinks this is a bed. It is lovely to watch and the set itself is lovely to play with. 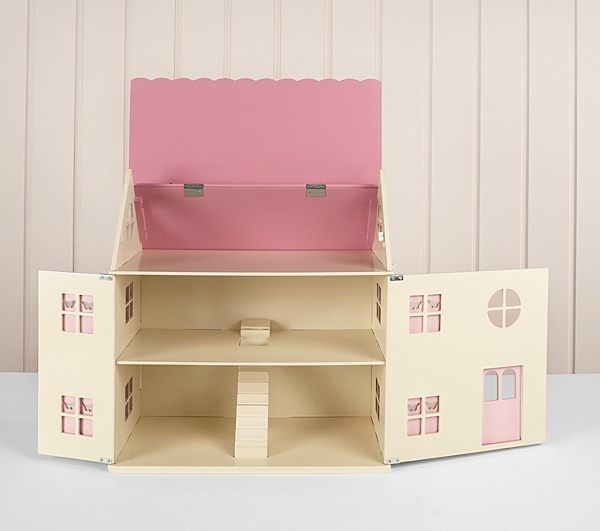 There is plenty here to fill up each level of the house, making it perfect for a first dolls house and definitely one you’d want to pass on. This is a toy that will keep on giving. 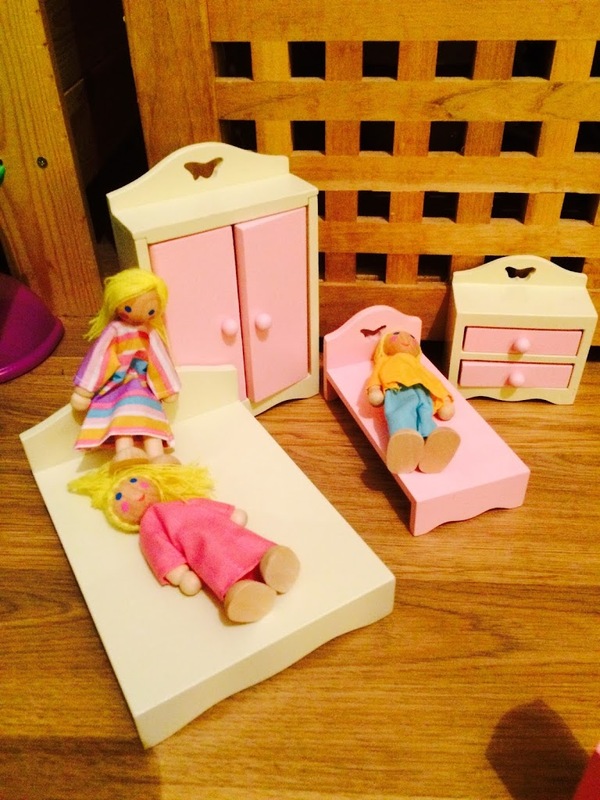 I cannot praise the Asda Wooden Doll House and Furniture Set highly enough. I am over the moon with these items and will be definitely be buying more from their range. For which they have a vast range. Aria loved both the house and the furniture and I can see her playing with this for years to come. 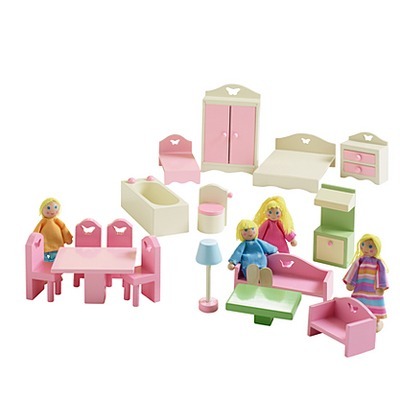 At £35 for the house and £15 for the furniture, you cannot go wrong, this makes the perfect Christmas gift for little girls. I love this.